I have sometimes over the years published something by Tatyana of Siberia Russia who is a chosen messenger there for many of the Ascended Masters of the Great White Brotherhood. Her work is excellent. Recently I was checking her site again to see if these is something new this summer, she seems to work for short periods with many messages and then breaks for a time. I discoved that her Ashram has been burned down. Some of you remember Summit Light House and followed that material many years ago and it too fell down like so many. Mark Prophet of Summit Light House passed many years ago and has been working thru Tatyana as Lord Lanello. I recently posted a piece by our beloved Siraya thru her. She uses Surya as the spelling, or rather the English Translator does. The translations to English are well done. There is material on You tube also, and she has books available a Amazon and other companies in the US. webmaster@sirius-eng.net is the only email address I could find on the English version of her website. If you have enjoyed her material, maybe dropping the webmaster a note would reach her. She must be in great sorrow. I have always wished to meet her. She used to cover the buiding of the Ashram on her website, with pictures, but I haven't seen anything for a time. Here is the recent piece with Morya, in which this is mentioned. I have come today to say what is necessary and what has brewed. As you know, we are giving this cycle of dictations in Latvia. And this cycle of dictations has not been planned beforehand. More exactly, it must have taken place, yet those hindrances which have taken place and have happened in the Ashram of our Messenger have made the Divine opportunity for Russia null and void. And the dictations of the summer cycle were canceled. For those who are not familiar with the current situation I will briefly say that within the last two years violent attacks against our Messenger were taking place in all planes of Reality. And at the cost of tremendous efforts the mission was persisting, for we beheld no other opportunity to continue giving the Teaching for mankind. We were continuing our work, and we were continuing to give our Messages up to the moment when the Ashram of our Messenger was set on fire. One does not have to be shrewd enough to understand that a mere precipitation of the negativity, accumulated around our Messenger in the subtle plane, has taken place. And many of you who continue reading our Messages have made a considerable deal of efforts to create in the subtle plane the conditions preceding the fire through your thoughts, feelings and even direct actions against our Messenger. You know that any action directed against our Messenger generates very burdensome karma, and this karma falls upon the entire country as well wherein the mission of Light is being implemented. Thus, the latest events have generated extremely negative karma for Russia. And this karma is comparable in its scale to that karma which was created by shooting the Tsar's Family. Well, I feel very sorry. 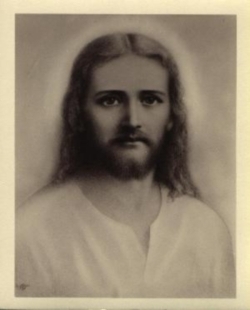 I and other Masters reckoned for a greater level of consciousness of people in incarnation. We were encouraged by the fact that we have an opportunity to freely transmit our Messages within a long period of time in the land of Russia for the first time. We were reassured by the opportunity and have not taken measures to protect our Messenger beforehand. All the Light Forces were involved in seven seconds after the call of our Messenger at the moment of the fire. We performed the impossible: all people remained alive and nothing that has been constructed by our Messenger with the help of the Ascended Hosts suffered considerable damage. Only the mission of Light, our mission in Russia, suffered damage. Every direct action against God and the Masters must receive its retribution. This is the Law effective in this Universe. I have to state the sorrowful fact that in the nearest future Russia will have to work off the newly-created karma of godlessness. And it is terrible, for all the Light which was being poured over the land of this country and was not used for implementation of the Divine plans now falls upon the people of this country as a karmic burden. The Force of Light causes an equal and inversely directed action of the evil forces. But as soon as the evil forces manifest themselves, the Ascended Hosts have the right to use force for immobilization of the opposing forces. Imperfection still reigning in the world does not permit to do without sacrifices and bloodshed. The level of consciousness of people does not give an opportunity to go along a more balanced and peaceful path so far. Today I have told you more than it may be approved by the Karmic Board. My motive is to explain you the entire severity of the committed deeds and those events which will be caused by the generated karma. Now, as I have explained you the essence of the recent events the way I see it from my level of consciousness, I must say that we no longer have an opportunity to continue our work in the land of Russia. Because all our actions will be causing greater and greater resistance. And we can no longer risk our Messenger and her mission. I have said enough for you to ponder over. No one will tell you more than I did. Think and try to understand that there has never been such an opportunity which has been realized through our Messenger this time. Never have the Messages been spread simultaneously all over the globe the same day as they were given. I AM El Morya Khan. I will include a piece by Lord Lanello also given in June here. As you can notice, the Divine Mercy of transmission of our Messages through our Messenger persists. I must say that those people who are in embodiment and in immediate proximity to our Messenger have no great merit in the miracle which persists already for eight years. Yes, beloved, each time when the Heavens open their dispensation and grant the mercy to mankind, we hope that our efforts and the efforts of our Messenger will find greater support in your world. Fortunately, the continuation of the opportunity does take place. And I must in all certainty and responsibility state that this time the mercy persists only due to Lord Sanat Kumara and His vouching. Burdensome manifestations are quite numerous in your lives. And if the Ascended Hosts did not understand your difficulties and your restrictions in which you have to dwell, then we would not try to render all possible assistance to you. Hopefully, my Message will serve you a manifestation of help which the Ascended Hosts render. I have come in order to give a little set of recommendations which, hopefully, will be useful for you and which you will be able to use within the nearest future. By the way, you must comprehend and realize that the continuation of the opportunity of transmitting our Messages is possible only while we have a transmitter who has gone through a proper training – our Messenger – at our disposal. The institute of apostleship has always been used by the Masters of Wisdom within the last many thousands of years for giving knowledge and the Teaching. And, of course, each Messenger tinges the transmitted information with his vibrations and his interpretation. However, so is the time which the planet and its people are now living through. Too high denseness of the material world does not permit to transmit the information from etheric octaves purely enough and without misinterpretations. We manage only to keep the general direction of the motion, to show the direction for your spiritual advancement, for your search for the Divine. And without this guidance mankind would not be able to continue the further evolution within even a century. Therefore, the missions of Light are regularly sent to the physical world. Each century there are several messengers of ours in embodiment. However, not all missions are successful. Many missions cease at the very beginning of their progress. It is no secret that in order to start implementing the mission each messenger of ours endures the most severe tests. All tests try the qualities of devotion and unaffection for the result of activity and for the physical plane. Since the world is very dense now, it is more and more difficult for our messengers to pass their tests, but it is even more difficult to bear constant tension during the whole period of implementation of the mission. The difficulty is in combination of the public, representative mission and the inner work in the subtle planes which requires tremendous efforts. The burden on the Messenger is placed from the physical plane as well as from the subtle planes of Reality. The qualities different in their essence are required in order to communicate with the Ascended Hosts and to maintain adequate communication with the public authorities. I repeat my words again, the burdens borne by our messengers are often beyond human abilities. And I will tell you more: but for the help of the Ascended Hosts, none of our missions would be able to exist more than several months. All missions of Light require tremendous resources and energetic consumptions granted by the Karmic Board and the Great Central Sun. Therefore, your efforts, your diligence and your abilities are also required for our missions to be more successful. Imagine a person who invests money in business located in the other part of the globe. At each accounting period a businessman must be sure that his investments make profit, otherwise he will have to relocate his activity to another place on the globe. And if people in the country wherein the investment of the money energy is made do not facilitate the activity or even hinder it, then an entrepreneur with a hundred per cent probability will relocate his work and business to another country, wherein the conditions of greater favorability will be created. It is the full analogy with apostleship. We invest energy in implementation of the mission of Light. And with certain periodicity we exercise control over the extent to which our investments are reasonable. If to refer the above-mentioned reasoning to the mission of our Messenger, what will we see? Within eight years by the decision of the supreme cosmic councils the energy for maintaining the mission of our Messenger was being granted. The Divine energy is accompanied by the stream of purely material energy which is automatically acquired by the country wherein our mission is being implemented. And if you review the very last years, you will see that in the most miraculous way Russia has scrambled out of the hard times to a relative financial welfare. What do we see next? Is this financial welfare spent on providing a certain educational level for the upcoming generation to be able to get a notion about God and the Divine Law, effective in this world, as soon as possible? How much attention is paid to the work with the low-income and destitute people? How are social policy and public healthcare changing for the better? I must tell you that we see nothing of the kind. The entire stream of Divine energy manifested as money energy is being spent on building entertainment houses, shops, propaganda of wrong behavioral patterns, free way of life and sexual promiscuity. How do you think: will the Divine Law permit to continue the Divine opportunity for Russia, the country wherein our Messenger was living all this time? I cannot say which decision will be made this time by the Karmic Board which is still in session. But even if to speak at the human level of consciousness, we see a waste of energy. Granting an opportunity to transmit the Messages is a great Divine Mercy. And one has to be surprised at the devaluation of true values which takes place in your world. The Mercy of the Heavens you consider as a weakness. The stream of Divine abundance you take for granted. Until you re-consider your inner and outer guidelines, you will be receiving lessons in form of the returning of karma of your wrong choices. Can you imagine: what karma is created by the nation which uses the Divine energy not for affirmation of the Divine patterns, yet for affirmation of the patterns totally opposite to the Divine? Boosting the desires by means of advertising and mass media leads to wrong actions in the physical plane which generate karma. And the karma must be worked off, for so is the Law. And in this case God grants an opportunity and manifests mercy. Through repentance, through becoming conscious of the wrong actions and sins it is possible to atone for the wrong deeds. Yet the consciousness of the nation must rise to repentance. If we recollect the very recent past of this country associated with the assassination of the royal family and the following decades of wandering without God in the dark, we can note that the majority of people in incarnation now also feel no repentance and no remorse in their souls. God will reward you thousandfold for any righteous deed. But why do you not do it?